Did you try the slowness experiment? How did it go? Was it a challenge? What was the easiest part about slowing down for you? What was enjoyable about slowing your actions down? I discovered what happens when I slow my speech down. Doing so seemed to help me relax and as far as I am concerned relaxation is potent medicine. Even better than that...it's free! Generally we all have a lot to say, we want to be heard, we want to be understood. I don't know about you, but I find that saying more, makes me feel like I am getting my point across - it also means I have to speak quickly to get all those words out. Yesterday as I made more of an effort to slow down my pace as I spoke, a feeling of relief came over me. Because I gave myself permission to say fewer words when speaking to people, I discovered that perhaps I do not need to explain so many details about my comings and goings. I thought, why do people need to know why I am doing what ever it is I am doing? In fact I began to wonder where this idea that people need to know my "why" came from at all. Did I feel like I was being persecuted or that in some way I am required to explain my existence and my actions to be validated in my existence, or is it okay to just simply be here, no explanation required. Do people need to know all that? Are they asking for such detail? If not, then what is it inside of me that feels compelled to offer so much information, to talk so much, is it some kind of nervous habit? I began to wonder to what extent people really want to know about my thought process. Perhaps they need to know less than I previously thought. Less is more some times and yesterday there was no reason that I could find, to explain more than the basics to people. It made things simpler and helped me relax inside. They didn't seem to mind, and in fact, I think I became a better listener and who doesn't love to be listened to! 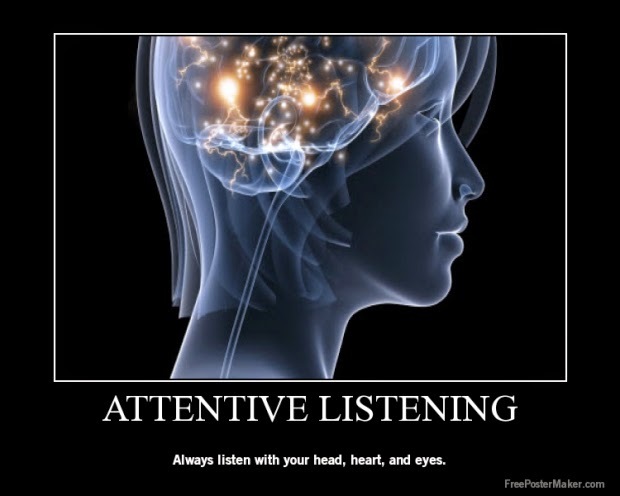 I've read many a book and taken classes that included the principles of active listening and yet this is a re-learning that needs regular attention to truly root itself into the heart, mind and body. A great reminder came out of this experiment. I think I will do it again today.